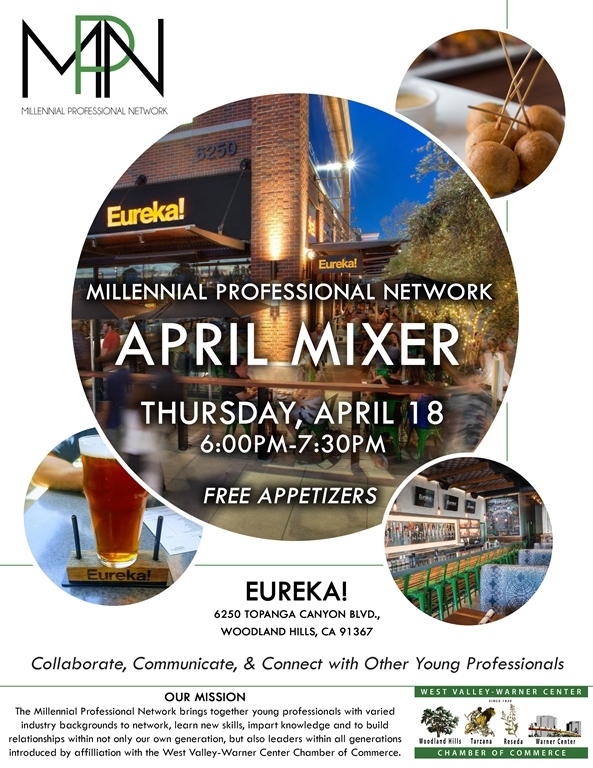 Send your young professionals out to represent your business! We want you knowthat we offer an opportunity for you to reach the young professional demographic. Does that interest you? This e-mail is specifically about our Millennial Professional Network. This event is for the “Under 40” young professionals to get together. Please send someone. Admission is free and appetizers are included. Many businesses are represented.